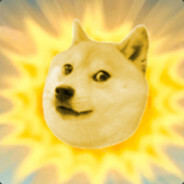 • Naja eigentlich habe ich nur Doge auf die Sonne von den Teletubbies geklatscht, aber das ist doch auch schon was, oder nicht? -Rep After a good game in csgo, i added her because she seemed like a cool person. We got chatting, over the next couple of months we became good friends. Lots of banter, lots of great CS and most importantly true friendship. I invited her to my house for a csgo lan party. She said she was coming so i was looking forward to meeting her in real life. When "she" arrived at my house, it turned out, that the person i was chatting with all the time was just a 40 year old guy. He pushed me against the wall and started nibbling my ear, i felt his hard ♥♥♥♥ push against my leg. I punched him in the face. Turns out he was gay. Don't trust this guy.